Hey there! I didn’t mean to step away for a month but on the plus side I have lots to share in the coming weeks. Aren’t those roses lovely? My husband knows my love for white. And the mini-suburbs quilt was a gift from my friend Jayme…I haven’t jumped on the “mini quilt” bandwagon but I must say I love this little quilt on my wall so much! I splurged last week on fabric…I rarely buy a full line of fabric but these were just too good to pass up. The stack below is Franklin is by Denyse Schmidt. I haven’t been drawn to her fabric for independent shops in awhile (I’ve liked them but not LOVED them), but this line is just beautiful and has so many wonderful blenders and colors. 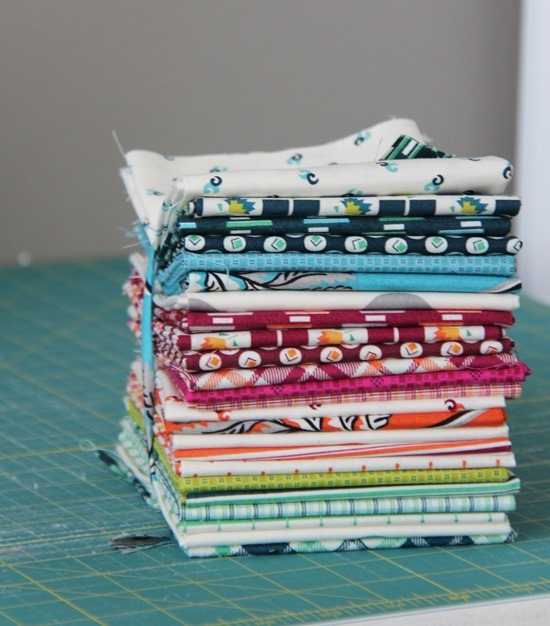 It’s the first time I’ve been really inspired and excited to work with a fabric line in quite awhile…so bravo Denyse! 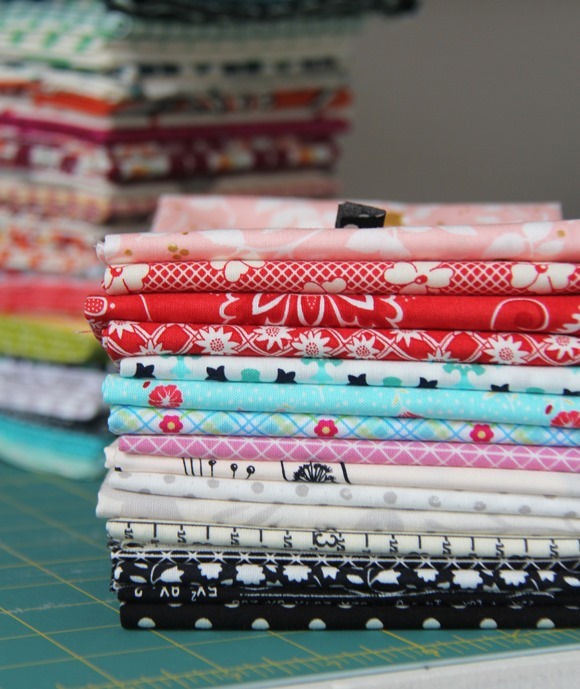 This line is called Milk, Flour, Sugar by Elea Lutz for Penny Rose Fabrics. It’s cuteness won me over…I’m not usually into “cute” but these I had to have for no other reason than to look at them. I bought both of my bundles from Amanda at Westwood Acres. In other random news…I’ve been drinking green juice for breakfast and with lunch the past couple of weeks. I’d been in a big energy slump…and I hate to admit it but I have so much more energy now thanks to this nasty cup of green. I love those fabrics too! I caved and bought some Milk,Sugar and Flour. I love your comment about the donuts over the juice, very funny. Add frozen pineapple and mango! Really helps with the taste. Those are really nice. Makes me want some. I'm on a self imposed no fabric purchase. So none for me until June. It's my birthday so I'll get some for it. Was beginning to worry about you Allison…. glad you are doing well! Looks good! all of it! glad the cup of nasty is having the desired effect – maybe I should try it ! Can't wait to see what you've been working on. Wondering if adding blueberries a great antioxidant would boost the flavor. I have been contemplating green smoothies…. here are some I have found but not tried.. maybe you could alternate a few recipes to add a smile to the smoothie routine. Glad you are feeling better. I hate days where I feel I have no zip. Yeah, I think I need the green juice too, for energy. Sure haven't heard that many people LIKE it, though! I think you need a cream stick, personally! I've had my eye on Franklin, too. Might have to get me some of that yumminess! Green stuff for breakfast is a good thing…I love it! I am happy you are feeling better. I may have to try that drink also! I am crazy for Daysail!! I love every line they do though!! When will you be showing us your next line?? Love the fabrics too. And about that juice, I agree a donut tastes better but green juice feels better. Hang in there. 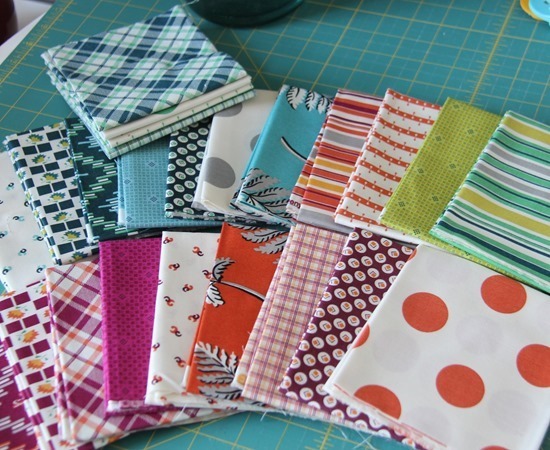 Can't wait to see what you will make with those fabrics! Oooh – any chance you plan to do a pattern for the Suburbs mini?? 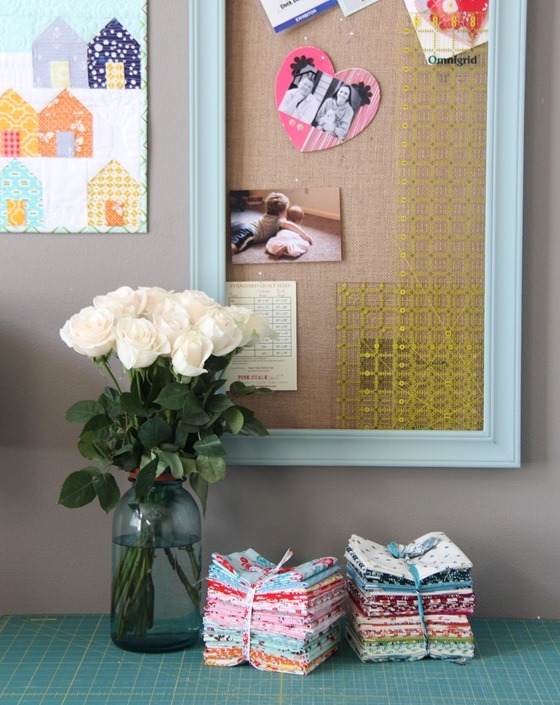 I saw you in the Windham brochure and loved the little glimpse of your new fabric! Excited to see more of it in the months ahead. Maybe by then I will have saved up more money to buy fabric–the vendors at quiltcon were very persuasive! I do love the DS prints! I am the same I have never really LOVED them but there is something about this line that is so great! O and I agree donuts do taste better than the juice but usually when it isn't great for us it does taste wonderful! lol! I need more energy. Can you blog your smoothie recipe? 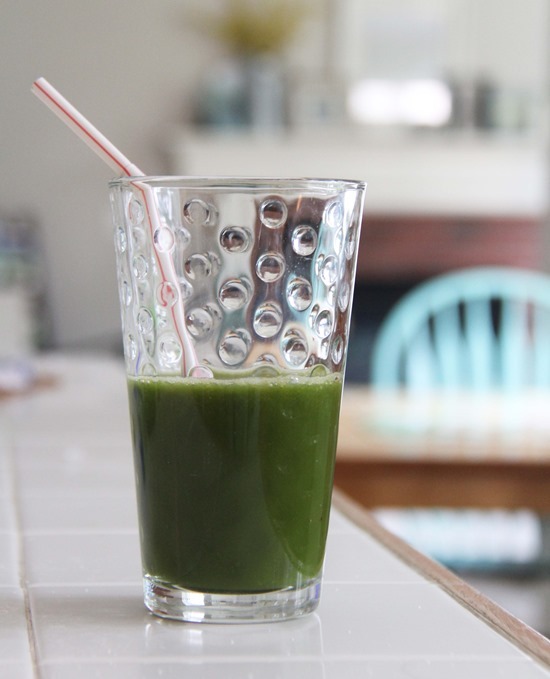 Oh, yes, green juice! We drink a lot of green smoothies in the summer, but I totally cheat and make them taste good. My recipe is lots of pineapple juice, lots of collards, frozen strawberries, ice and a banana. Honestly, it does taste good. Haven't met a kid or person who doesn't agree. Thosr fabrics are yum and I drink green smoothies too. I like them fine, but I think its okay to add some fruit – pineapple is excellent . I also afd gingerroot. I love it and its really good for you. Random, but do you know the color name of the paint on your walls?? I'm ready to do some painting in our new home. This color looks nice. Jeanie – I wish I knew that color! It's the only room in the house I didn't paint over, and they didn't leave any leftover paint for me to figure out the color. I've had many people ask so i guess I need to try and color match it! Sorry! Snowing here today….. Needing a little tropical goddess right now.